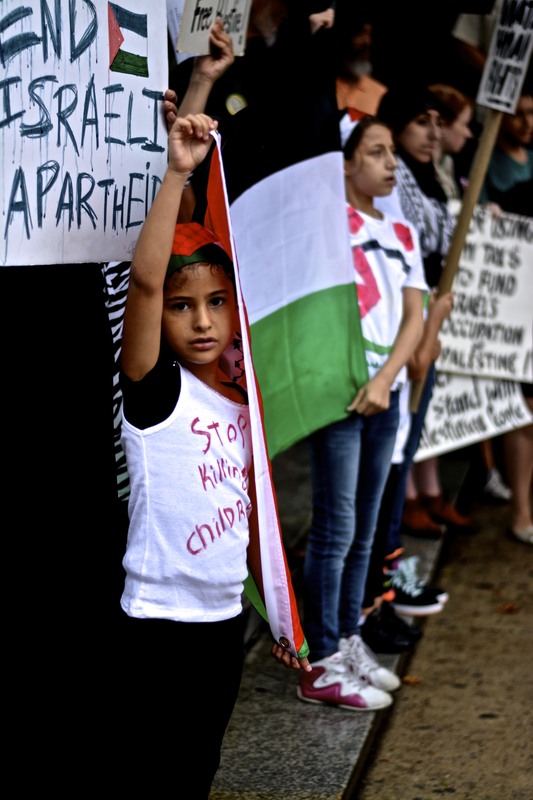 A fundraiser for the ongoing crisis in Gaza was held at the Friends Center on Cherry Street Friday evening. Hundreds of people from a broad spectrum of religious faiths and backgrounds congregated inside the Quaker Meeting House after a rainy protest at LOVE Park. A Philadelphia police contingent posted outside on the off-chance that attendees decided to “come outside and chant,” a police supervisor told The Declaration. Staff photographer Joshua Albert noted the use of a bomb sniffing K-9 unit preceding Friday’s LOVE Park protest. Since protests in support of Gaza began weeks ago, the K-9 unit has regularly been observed (here and here) at demonstrations, marking a notable and troubling departure in procedure for the police department in a long line of political rallies monitored by Philadelphia law enforcement. The festive air on display during Friday’s fundraiser provided a much-needed respite for many attendees, as the humanitarian crisis underway in Gaza seemingly deepens every day. Despite a recently declared cease-fire brokered in part by Secretary of State John Kerry – while Congress authorized emergency military aid to Israel – the toll of injured and killed continues to rise: latest figures from Gaza’s health ministry indicate that over 1,655 Palestinians have been killed and nearly 8,900 injured, with over 60% of those civilians, since Israel’s Operation Protective Edge launched its offensive on impoverished Gazan civilians and Hamas militants. Two Israeli citizens, a Thai national, and 63 Israeli Defense Force soldiers have also died since July 7th. The United States is Israel’s most prominent supplier of military aid; in 2008, the Bush administration signed a deal guaranteeing a $30 billion aid package over a ten year period. 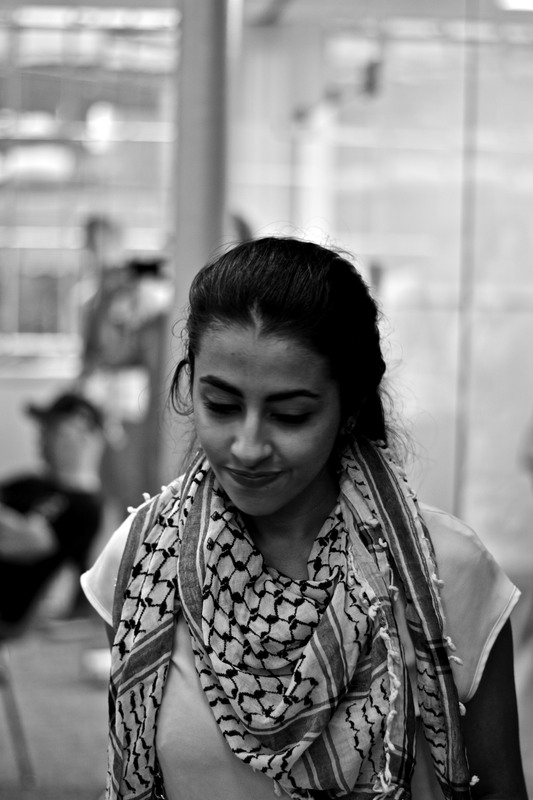 Keren, an organizer with Philadelphia’s Boycott, Divest, and Sanction movement (who asked that her full name be withheld) told The Declaration that the fundraising event was organized in just two weeks, as part of a broad mobilization of coalition groups including Jewish Voices for Peace, Temple’s Students for Justice in Palestine, Penn for Palestine, Philly BDS, American Friends Service Committee, Christian-Jewish Allies of Greater Philadelphia, Grandparents for Middle East Peace, Women’s International League for Peace and Freedom, and others. 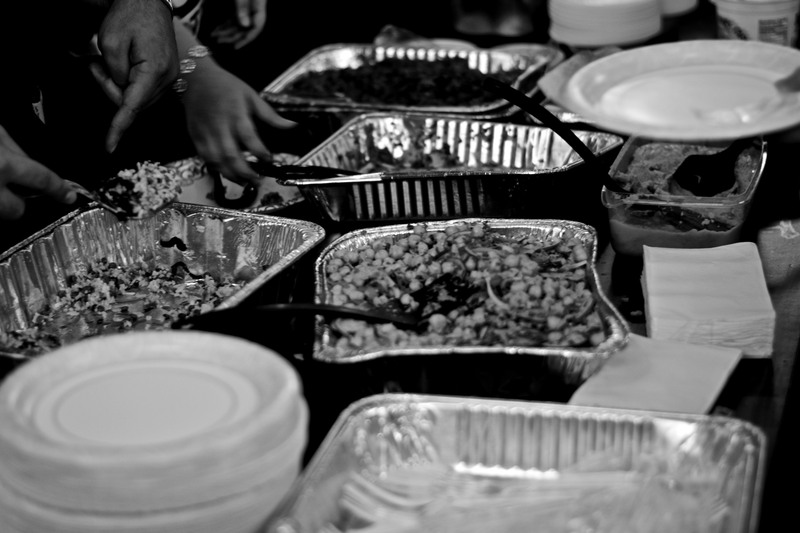 A community dinner serving a wide variety of Halal dishes opened the evening’s events, followed by pitches for relief aid from organizations Kinder USA and Islamic Relief USA. A raffle and auctioning off of Hebron scarfs, Palestinian artwork, jewelry, and performances from Farah Siraj and members of Philadelphia’s Al-Bustan Takht Music Ensemble rounded out the night. According to Dr. Bassil Kublaoui, a Kinder USA board member, his organization, founded in 2003 to focus primarily on relief for Palestinian children and mothers in Gaza, the West Bank, and refugee camps in Jordan, is currently engaged in range of aid projects that include assistance with a handful of women-led farming cooperatives in the western, southern, and central regions of Gaza; partnering with ANERA to provide supplies for one of Gaza’s largest medical facilities, Al Shaifa hospital, which has been inundated with casualties from Israeli Defense Force (IDF) incursions; and hot meals for kindergartners in Gaza in addition to the construction of 15 playgrounds for children there. This isn’t a Muslim issue. This isn’t a Christian issue. This isn’t a Jewish issue. Children in Gaza are dying today. Gabr explained that Islamic Relief has a working relationship with the United Nations, one that allows the organization to pass humanitarian supplies into Gaza, despite long-standing sanctions that heavily impact the area’s economy and quality of life. He stressed that the most urgent calls for assistance will arise when IDF military operations in Gaza conclude. According to a Facebook statement posted by Philly BDS organizers this afternoon, the event raised approximately $13,000.